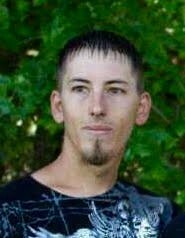 Trevor Lamont Flitton, 31, passed away unexpectedly at his home Friday, November 23, 2018, after spending Thanksgiving Day with his family. He was born April 13, 1987, in Ogden, Utah, the son of Kelly Flitton and Janet Butters Heiner. Trevor graduated from Morgan High School in 2005. He attended DATC studying plumbing and electrical. He worked at MCL Electric and later for Wardell Brothers. He grew up loving the outdoors. He enjoyed riding 4-wheelers, golfing, and spending time on the Weber River fishing. Trevor was very kind and generous. He was always a kid at heart. Trevor struggled for many years with depression and addiction, but never stopped loving his family and friends. His son, Haven, was the light of his life and brought him so much joy. They loved each other very much. Trevor is survived by his parents Kelly (Gretchen) Flitton and Janet Butters Heiner, son Haven, brother Tyler (Jessica) Flitton, niece Peyton, nephew Tobias, grandmother Donna Butters, grandparents Val and Marilyn Flitton, and special friend Sydnie Oliver. He is preceded in death by his grandfather Donald Gale Butters. A viewing will be held at Walker Mortuary, 45 West 200 North, Morgan, Utah on Tuesday, November 27, 2018, from 5:30 to 7:30 p.m. and Wednesday from 10:00 to 10:45 a.m. Funeral services will be held Wednesday, November 28, at 11:00 a.m. at Walker Mortuary. Interment will follow at the Milton Cemetery. In lieu of flowers, donations may be made to help with funeral expenses. The family would like to thank all those who supported Trevor and never gave up on him. We love and miss you Trev.